Milad Bazaz Jazayeri, BSc (KIN. ), MPT. is a Registered Physical Therapist, practicing in downtown Toronto @ the Orthopaedic Therapy Clinic. 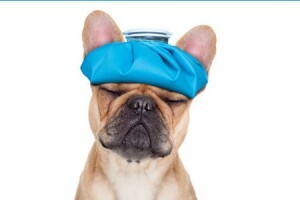 As a physical therapist, I am often asked if physiotherapy treatment can treat headaches? In this article I have tried to briefly review and answer some of the common questions about headaches with the focus on those associated with neck pain. Neck pain is a common cause of headaches and physical therapy treatment is effective in the treatment of this condition (1). There are a number of known factors that can cause a headache. A cervicogenic headache, also referred to as cervical headache or cervical migraine, is a headache caused by a disorder of the cervical spine and related structures. These headaches are often associated with neck pain. This condition is thought to be more prevalent in women and in the population over twenty years of age. Despite being a factor for migraines and tension type headaches, there is no known correlation between family history and cervicogenic headaches. In the human body, the cervical region of the spine refers to the neck area. This area consists of seven vertebrae (i.e. neck bones and the surface cartilage – the smooth layer that covers the ends of bones) extending between the base of skull and the vertebrae where the ribs attach – thoracic region. The term cervicogenic means the symptoms are rooted in the cervical region (i.e. 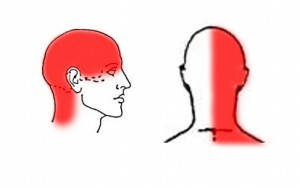 neck); hence, a cervicogenic headache comes from a problem in the neck. When a structure in your body (such as muscles or ligaments) senses potential harm, it generates stress signals and communicates them with the spinal cord through peripheral nerves. Therefore any problem in the muscles, arteries, dura matter, capsules, ligaments and joints of the upper cervical segments that are supplied by these nerves is forwarded to the brain and may result in a headache. What are the signs and symptoms that your headache may be coming from the neck? Dull, deep, achy in nature. Typically these headaches are one sided and do not switch sides during or between episodes. May be accompanied with pain at the base of skull, neck or shoulder. Can fluctuate in frequency and intensity (generally mild to moderate). Pain often begins in the neck and then spreads to other areas of the head (for example, to the top and frontal parts of the head). Can last hours to weeks. May be associated with limited neck movement. Is made worse by moving your neck in certain directions. Worsens by sustained awkward head/neck position i.e. prolonged computer use, looking down. Little to no relief from pain medications. Can be aggravated with stress or tension. Relieved by neck treatments i.e. physiotherapy, massage. Any limitation in movement at one joint can cause restrictions in movements of the neck as a whole. these restrictions can potentially cause headaches. In addition, nerves that branch off the spinal cord have to pass through openings in between your neck bones. Any restrictions in these passageways can irritate the nerves and cause inflammation. This may lead to symptoms, such as pain, numbness and tingling, radiating into other areas like shoulders, arms and hands. The muscles around your spine and neck can also cause headaches. These muscles are loaded with sensors which act like a gauge, detecting movement and informing the brain of their position and activation pattern. This communication is crucial for the co-ordination of eyes and body movement. Postural dysfunction – i.e. forward head posture or slouching – can make these muscles shortened and tense. This increased tension is communicated with the brain and can cause headaches. Your registered physical therapist will use a thorough physical examination to differentiate the cause of your symptoms and to establish a program to guide you on the path to recovery. Once it is confirmed that the symptoms are coming from the neck region, your therapist may choose to use manual therapy (hands on treatment) to restore the natural movements of the joints. This will improve the neck’s movements and reduce the symptoms of cervicogenic headaches (2). This treatment can also help reduce the pressure on nerves and ease radiating symptoms down the arms. As part of your assessment, your physical therapist may assess the strength and flexibility of the muscles around your neck. Strengthening programs can be beneficial for treatment of cervicogenic headaches (3). Often times, weakness of a muscle (or a muscle group) can lead to increased tension in other neighbouring muscles. In other words, in order to compensate for the weakened muscles, others have to work harder. Muscles that work harder than they should often present with increased tension. This increase in muscle tone can put them at a higher risk of injury, as they do not get adequate time to rest and recover from constant activation. When dealing with postural imbalances, it is common to note some weakness in certain muscle groups. Our body needs a proper balance between opposing muscles to maintain a healthy posture. For example, when dealing with the forward head posture, the muscles that are responsible to keep your neck in a neutral position (such as the deep neck flexor muscle group) are over-powered by the muscles that sit at the base of your skull (sub-occipitals). Strengthening the deep neck flexor muscles is like doing core exercises for you neck and can help reduce the tension and reduce intensity and frequency of cervicogenic headaches. Ensuring you have good trunk core muscles can help as well. Releasing soft tissues can also help improve mobility and flexibility of muscles and fascia. This can reduce the tension in muscles and improve neck motion. Your therapist may assess your posture as it might play a big role in the pressure put on the structures around your neck. An individualized home exercise program designed to address your specific needs may include a focus on ergonomics and postural correction, strengthening weakened neck muscles, education on what can help or hinder healing, and improving the mobility of muscles, joints and nerves. I often consider use dry needling (also called IMS) and acupuncture as part of my patients’ treatment plan. This, in combination with other therapy approaches (such as those mentioned above), can help reduce pain and tension in muscles. If you are experiencing headaches that present with the characteristics of a cervicogenic headache, contact us at the Orthopaedic Therapy Clinic to book an appointment or speak directly to Milad Bazaz Jazayeri, registered physiotherapist, to ensure the right diagnosis and treatment options for you. This article is not meant to replace advice from your healthcare professional. Milad Bazaaz-Jazayeri is a Registered Physiotherapist working in downtown Toronto. He provides post-concussion management, acupuncture, dry needling and direct treatment for injuries at The Orthopaedic Therapy Clinic.